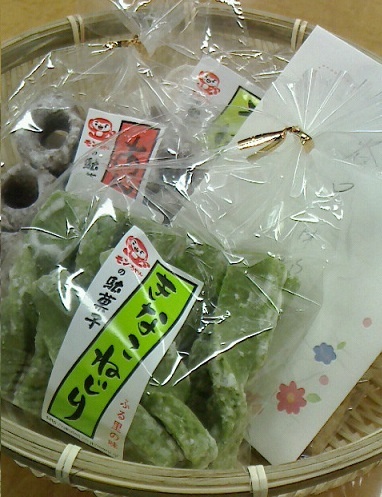 A mother of the bride who got married at Kamigamo shrine and had a reception at “Saami (ryoutei restaurant)” on September 21st sent us a letter with some sweets from Aizu region. I found it really was an unique and wonderful wedding well reflected the character of the bride and groom. Thank you so much. It became such a special memory to us, the parents who wed their only daughter to her partner. We really appreciate the opportunity to be able to support such a nice wedding ceremony and reception.